It took awhile for Jeff to love kale and now he will eat it in anything. When eating a low-carb diet I basically eat 80 vegetables and 20 protein so there is not a lot of beef. Still not a big fan of beef but due to my medical condition it helps if I buy grass-fed meat which is very expensive which is why I only eat a limited amount. The small portion is enough of the amount of protein without having to make a smoothie or eat a dozen eggs a day. I still haven’t found one powder that I love. If anyone out there has a recommendation, please advice! I also made cauliflower rice and carrot salad to accompany this meal. They were both so easy to make and Jeff did not miss his favorite, white rice. I now freeze the cauliflower in individual containers so I can use for different meals. That is my secret for quick and easy meal, I always prep my foods in containers so I can use for the week. It illuminates the chopping and cleaning for making weekly dinners. The easiest thing to do is marinating meat before any cooking begins. I do this with every meat dish. The only tools I need for this dish is a bowl, wok or pan to cook and let’s not forget the sharp knife to slice the meat. 1. Mince the garlic and ginger, soy sauce, mirin to sauce mixture with salt and pepper. 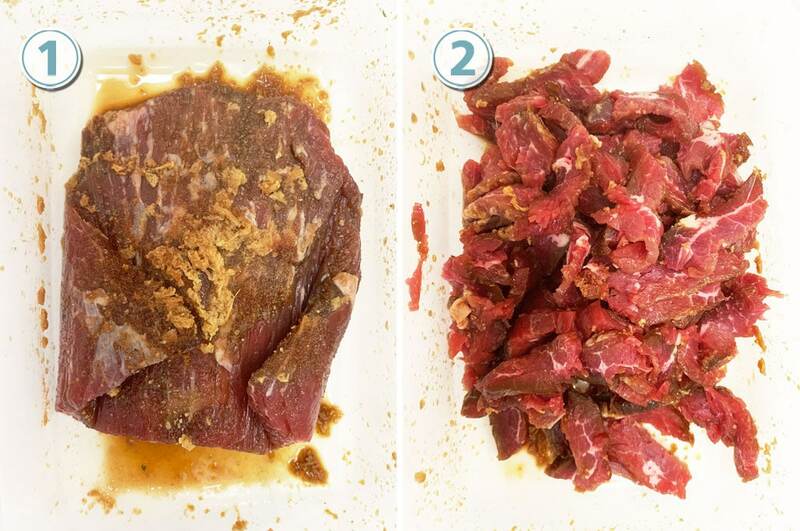 Pour over the beef in a container and return to the refrigerator for 24 hours. 2. 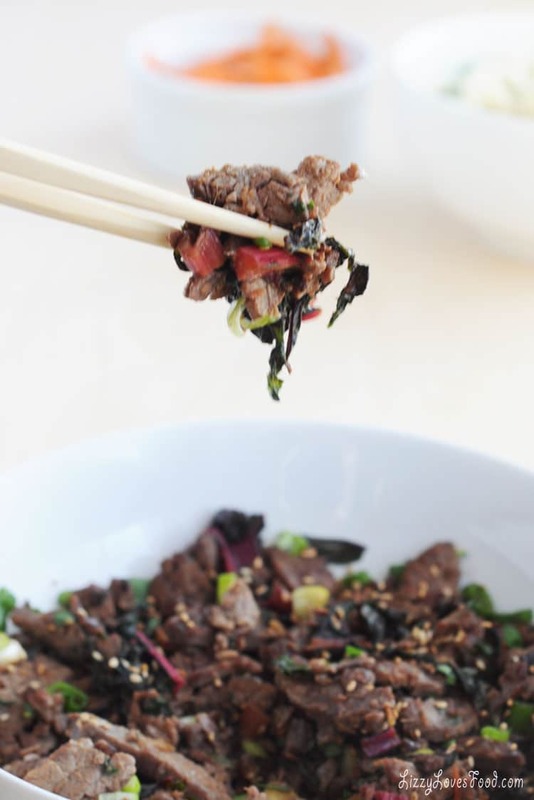 Slice the beef thin then pour some sesame oil in a large skillet over medium heat. 3. Pour some olive oil in a large skillet over medium high heat and add the steak. Mix it around while cooking to cook evenly and crispy edges. 4. After about 20 minutes, add the kale sprinkle about a 1 tsp of cornstarch to the mixture to add a little thickness to the sauce in the pan. 5. Sprinkle some sesame seeds and spring onions before serving. 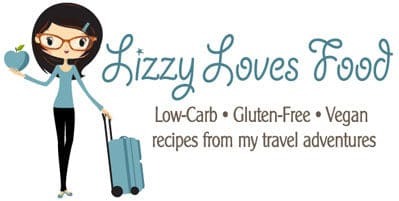 This is the easiest thing to make and I’m surprised how much my husband loves it considering white rice is on his top 5 list of favorites. 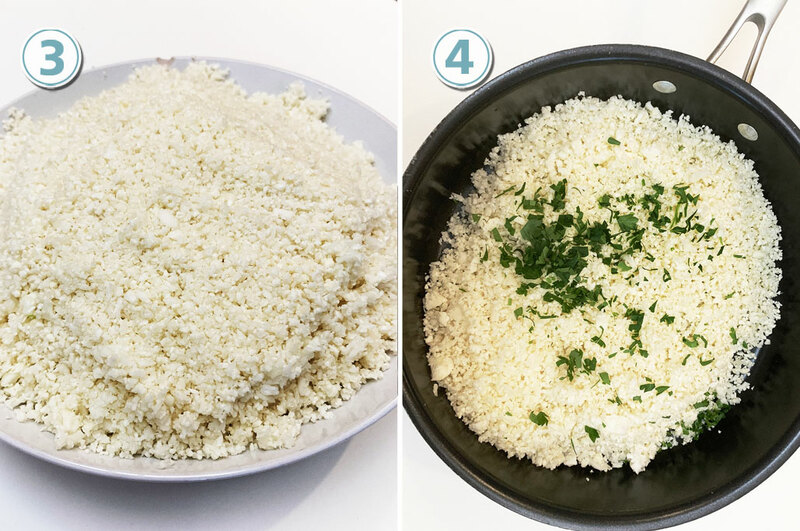 This is the perfect change to rice when doing low-carb and quick to make. 1. 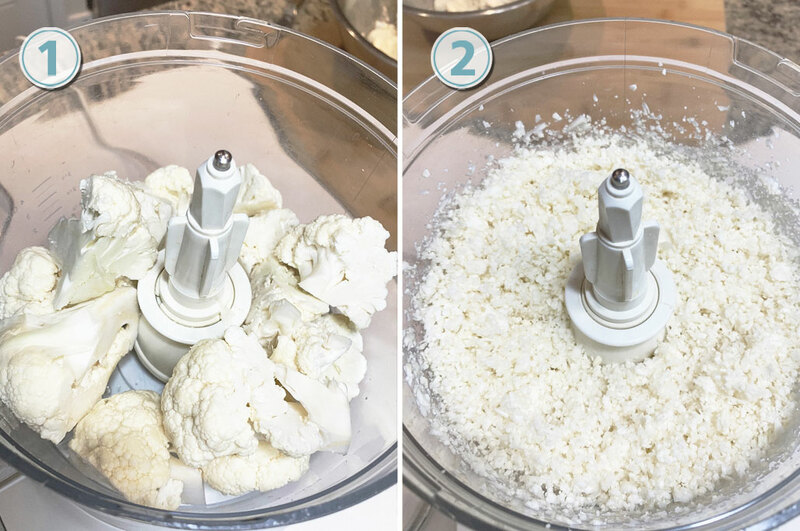 Take one head of cauliflower and cut into pieces to blend in a food processor. 2. Pulse the food processor until it looks like grain of rice. 3. Place in a bowl and sprinkle salt and pepper. 4. Add a 1 TBSP olive oil and mix in a medium heat pan. 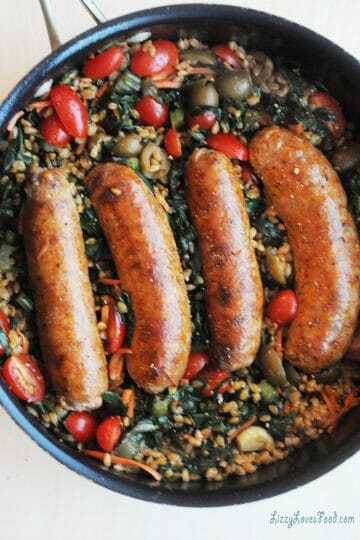 Mix around until cooked around 7-10 minutes depending if you like it soft or with a crunch. I like mine with a little crunch so I cook it for the less time. Top with some parsley and sesame seeds. I don’t usually eat a whole head of cauliflower so I put some in a container and freeze for next meal. 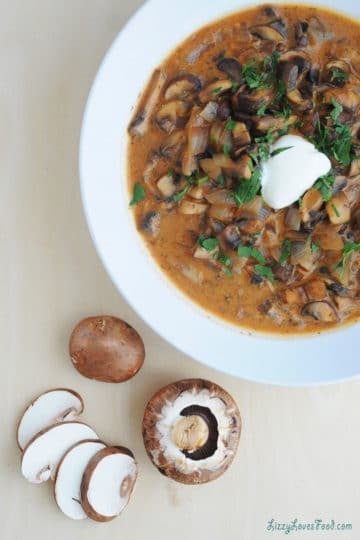 This is so easy and not much of a recipe to follow. 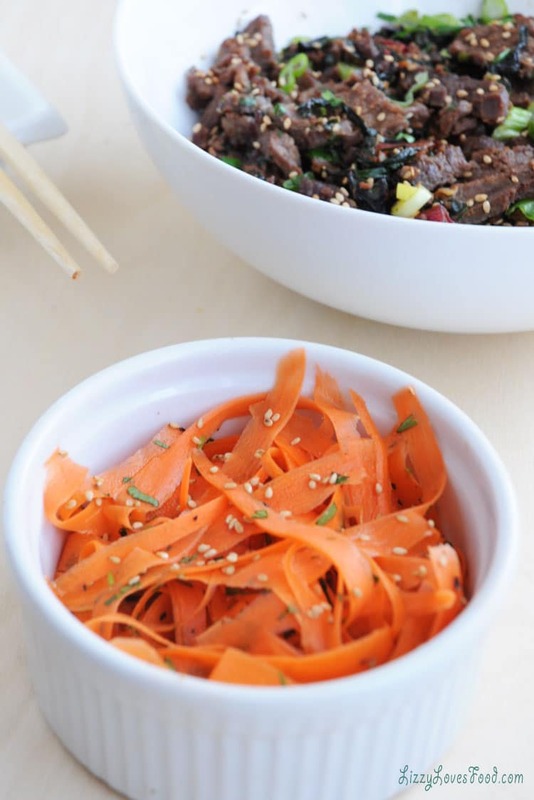 All you have to do is slice 4 carrots with a peeler and add 2 TBSP of rice vinegar and season with salt and pepper. Let it sit for about an hour before serving. Sprinkle sesame seeds on top and you are done! 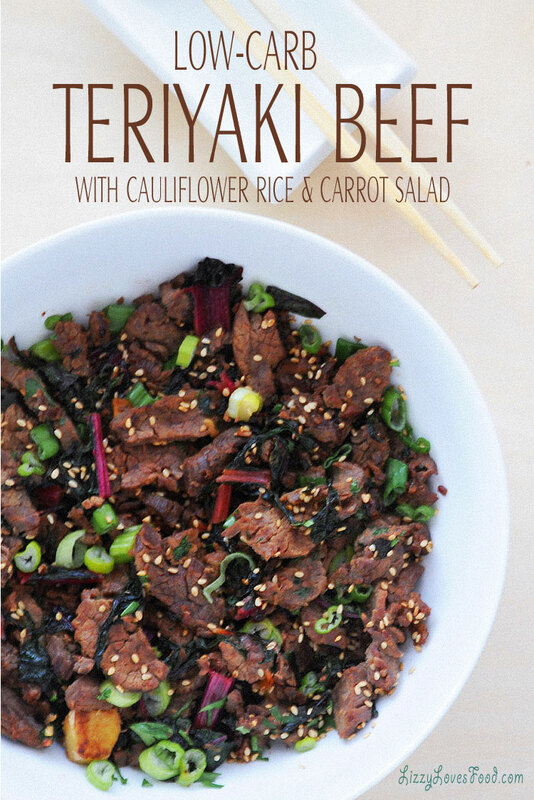 A quick and easy Low-Carb Teriyaki Beef Dinner with kale and cauliflower rice for a weeknight. Mince the garlic and ginger, soy sauce, mirin to sauce mixture with salt and pepper. Pour over the beef in a container and return to the refrigerator for 24 hours. 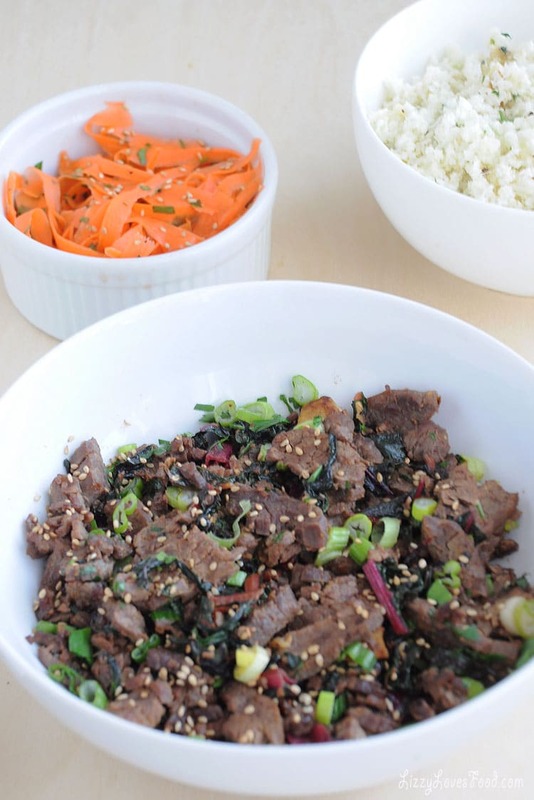 Slice the beef thin then pour some sesame oil in a large skillet over medium heat. 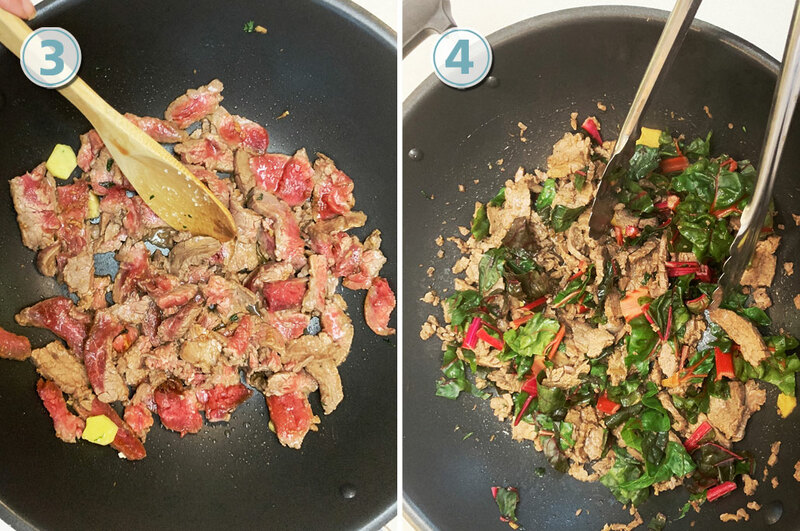 Pour some sesame oil in a large skillet over medium high heat and add the steak. Mix it around while cooking to cook evenly and crispy edges. After about 20 minutes, add the kale sprinkle about a 1 tsp of cornstarch to the mixture to add a little thickness to the sauce in the pan. 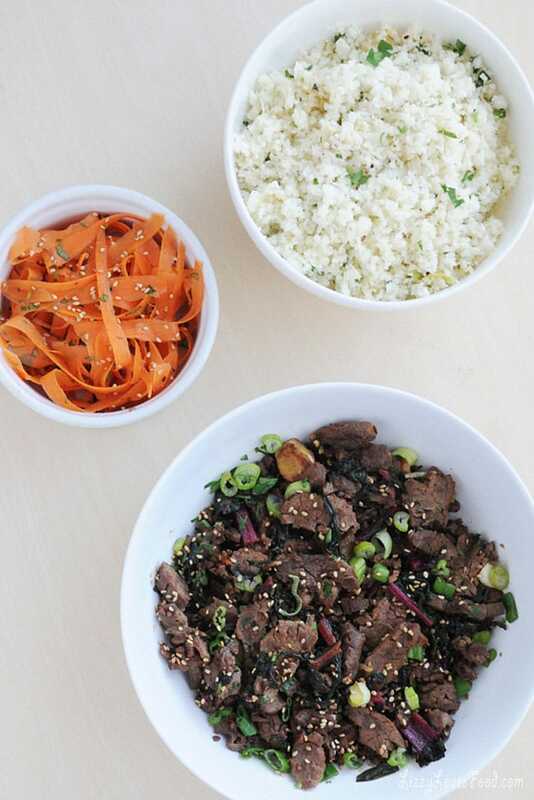 Sprinkle some sesame seeds and spring onions before serving. I marinate the meat over night, if I don't have much time I try to leave it for at least 2 hours.